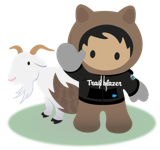 After merging two Contacts (Contact A - customer portal user and Contact B set as Master contact), the newly created Contact is not available to the portal user in SOQL query on Contact for an hour or two. Since it is not available, the code accessing the list of contacts results in an error. The issue resolves itself after couple hours. This is happening because the UserInfo cache is not getting refreshed after contact merge. In the UserInfo cache, portal user id is still mapped to old contact A id. SOQL query doesn't return results for the query as the UserInfo table still refers to the old Contact id. To refresh the UserInfo cache, go to the portal user record. Edit any field on it record and save it. This will invalidate the cache and will start referencing the new Contact record.